Dr. Daniel Cohen was born and raised in Warren, New Jersey. He received his undergraduate degree from The Pennsylvania State University with a Bachelors of Science in Biology. Following Penn State, Dr. Cohen studied at New York University College of Dentistry where he received his Doctorate of Dental Surgery. Dr. Cohen was accepted into and attended one of the most prestigious and competitive General Practice Residencies at Kings County Hospital. 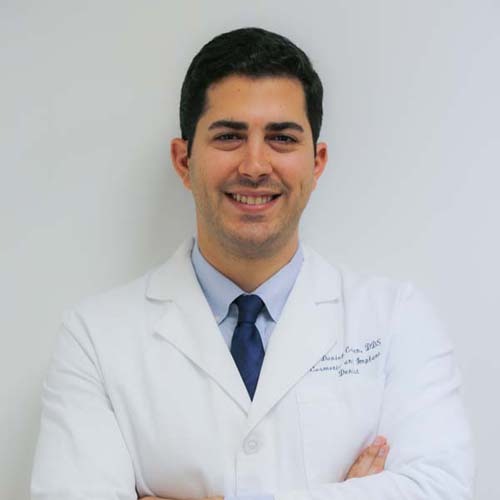 He is an active member of the American Dental Association, Academy of General Dentistry, New York State Dental Association, New York County Dental Society and is Invisalign® certified. Dr. Cohen is a caring, ethical, and devoted professional. He believes that every patient has their own needs and expectations, and therefore deserves treatment customized to the person and not the problem. Dr. Cohen is also proficient at communicating and presenting treatment plans to patients while providing supporting evidence from the literature. Dr. Cohen has a natural eye for detail. He pays a great deal of attention to the aesthetics in life, which he incorporates into his work. In his free time, Dr. Cohen enjoys painting, exercising, rooting for Penn State sports and spending time with his new nephews.